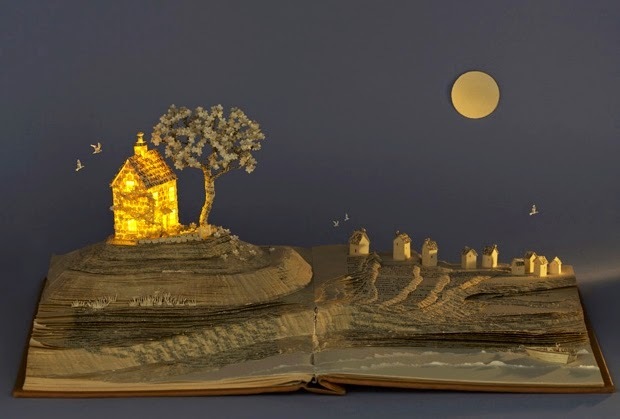 British Artist Su Blackwell created these lovely sculptures. 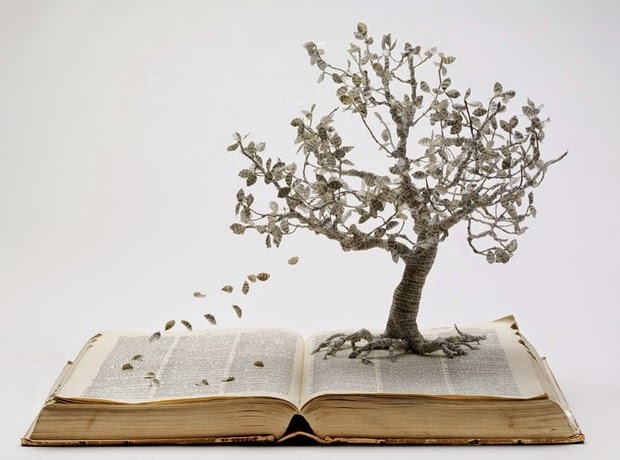 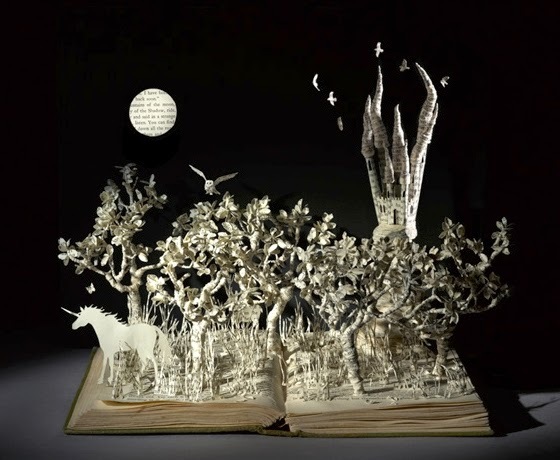 Blackwell mostly works with paper and second hand books, the entire sculpture can take from a week up to two months. 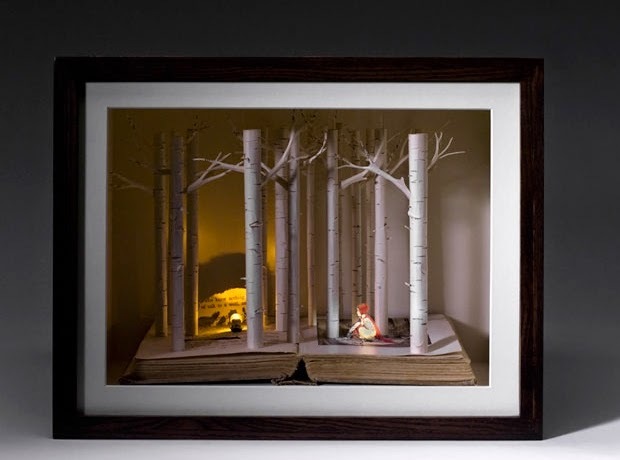 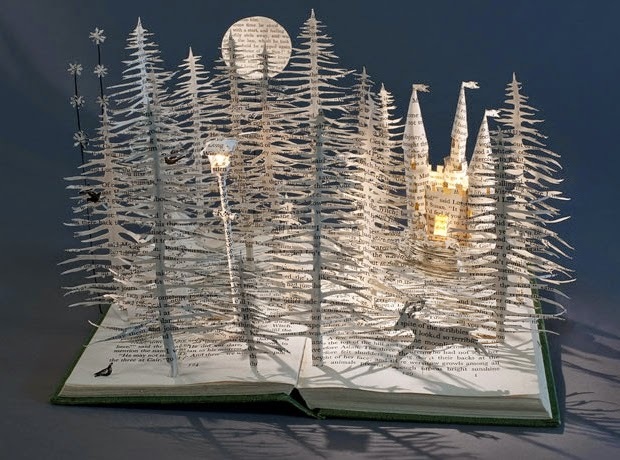 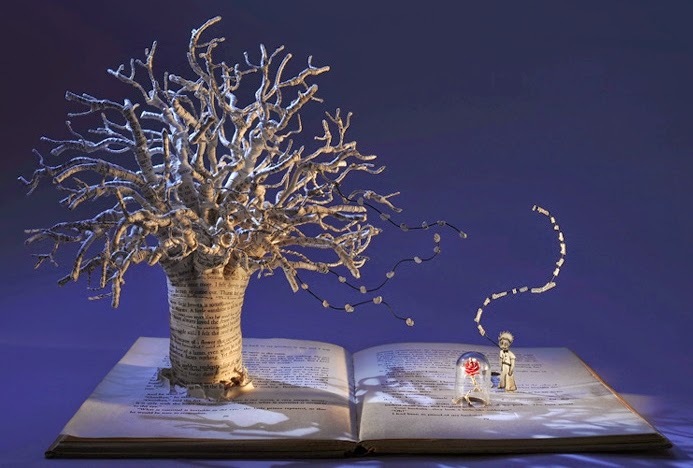 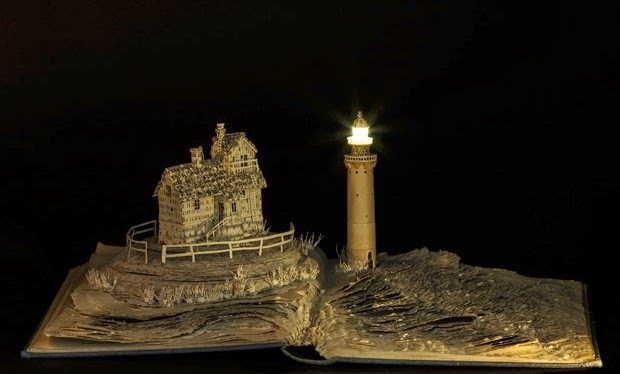 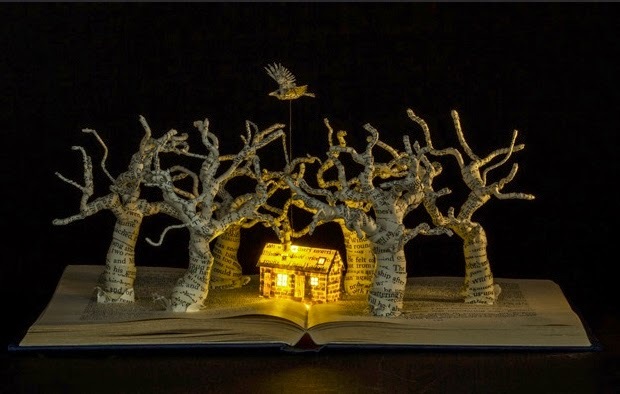 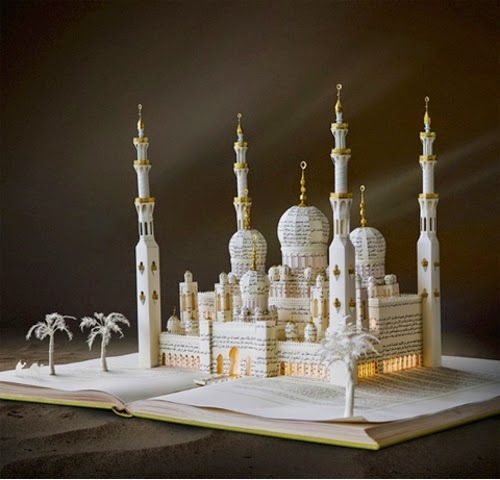 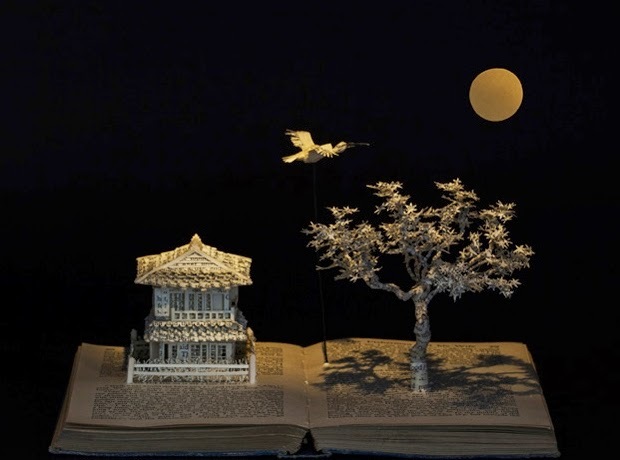 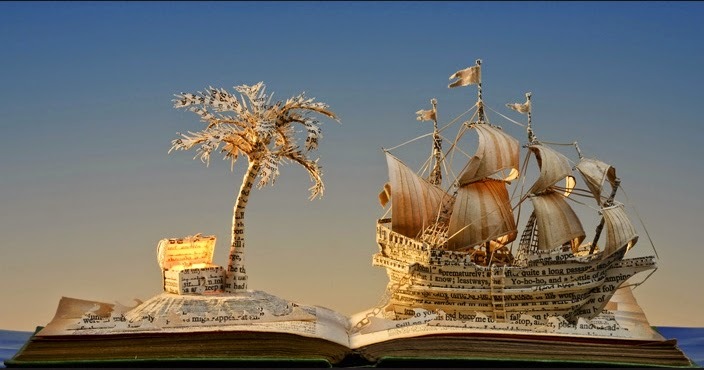 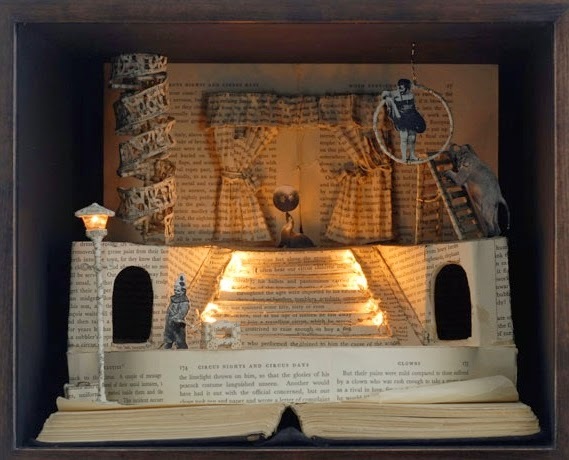 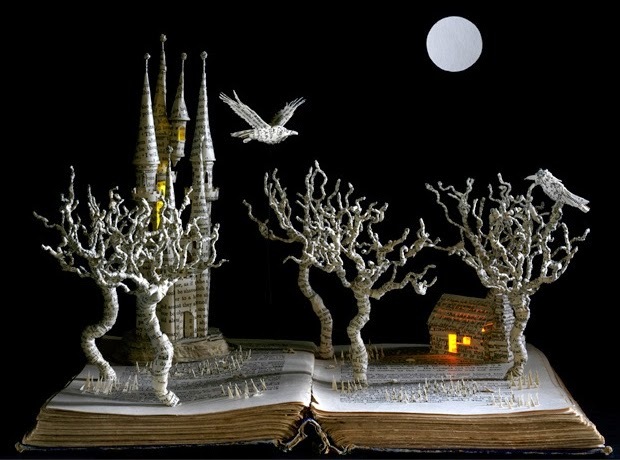 Her book sculptures predominately touch on winter and Fairy-Tale themes as you will see below. 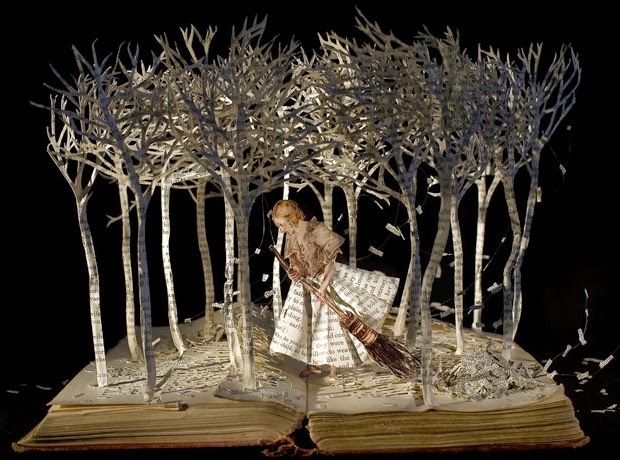 The Girl in the Wood. 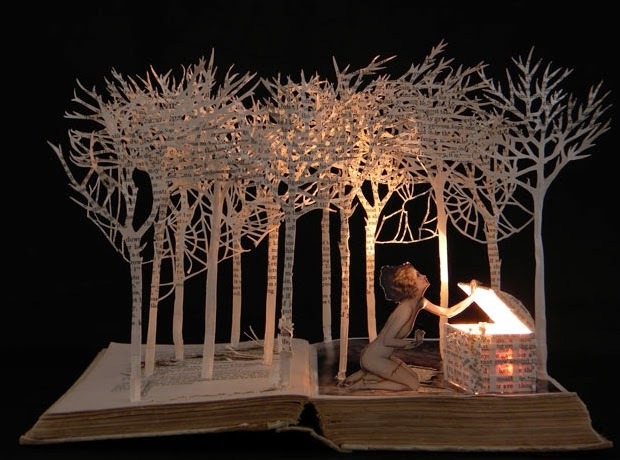 Snow White in the Woods. 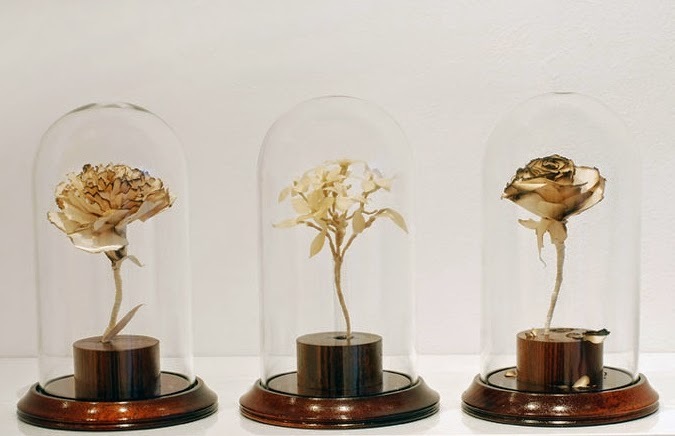 Carnation Rose and Jasmine Flower. 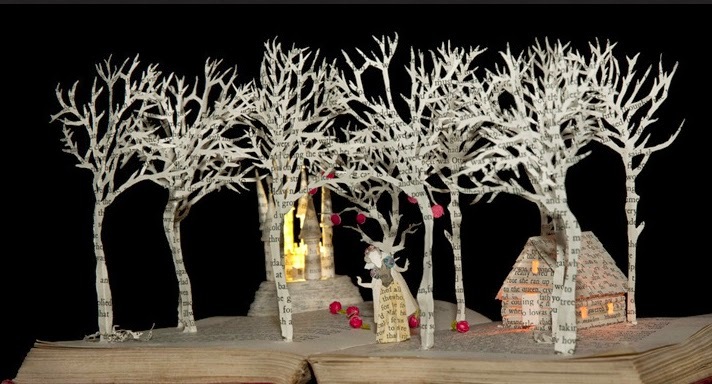 Snow White in the Woods 2.